Are you the type of person that has piles of documents sitting on your desk? Have you got a mountain of filing to be done or what feels like millions of e-mails to respond to? Being a disorganised person can feel like a harmless habit but in actual fact you could be wasting time and money – and that’s not good. When having a clear out, it’s not a good thing to think of it as a massive one-day attack on the mess, but more like a on-going check list than should be done regularly. I’ve collated a list of my favourite office/work organisation tips that keep me tidy and productive. Check the out below. A very important point that many people don’t follow is to file and sort as soon as the work comes in. It’s tempting to leave it on your desk or tell yourself ‘I’ll sort that later’, but the key to being organised is to tackle the task right then and there as it comes in. This way, you’ll never forget about a document and you won’t have tons of random documents floating around your office. Compete the task as soon as you can and you’ll be more organised from the beginning. A simple but effective tip is to have a office spring clean every Friday afternoon. By doing this, you’ll be refreshed at the beginning of every Monday and ready to take on the week. You’ll also be more likely to stay organised throughout the week if you start off on a good foot. Some people do this at the end of every day, but I think it’s just effective if you give half an hour every Friday to sort out your workspace. The dreaded drawers. Don’t be fooled into thinking that shoving everything into an already overflowing drawer can be classed as ‘tidying up’. You should keep your drawers as tidy as the rest of your office if you want to maximise productivity. Invest in a drawer organiser to keep your draw spick and span and DON’T use your desk and drawers as a place to ‘hide’ the mess. If it’s possible, try and use as little paper as possible. If a task can be completed on your computer, than use this to your advantage! It’s not only great for your organisation but also for the environment. So cut out paper and use your computer as much as you can. Messy cables can make any room look very untidy, so make sure you keep cables under control by using wire clips or cable covers. This will not only look better, but also keep you feeling organised and sorted. If there’s something that you should be investing in for your office, it’s good storage solutions. From Amazon to Ikea, there are hundreds of online and offline shops to purchase useful and efficient storage pieces to keep the mess at bay. They also make a pretty nifty centre piece for your office, so act as both an organisation tool and for decorative purposes. 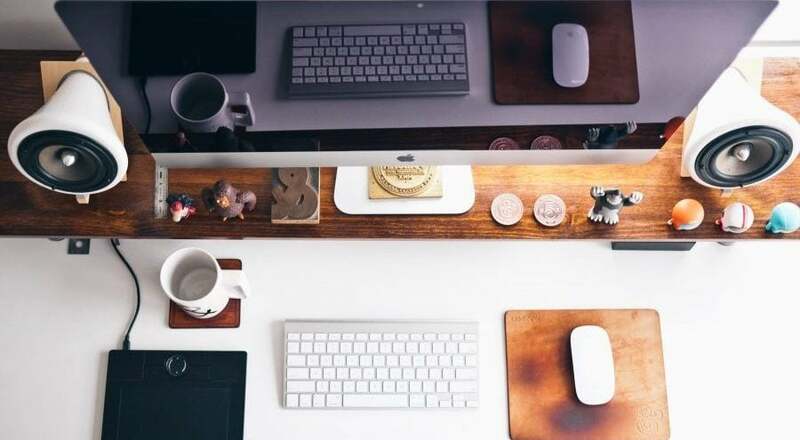 If you have any tips of how you keep your office organised, make sure you tweet us @UndercoverRec!